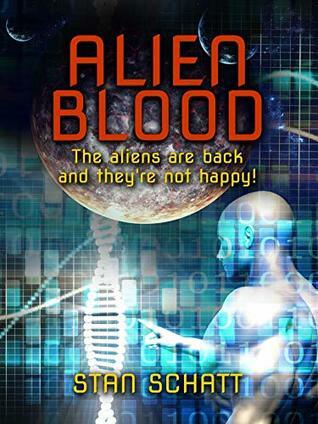 Alien Blood is a roller coaster of an adventure that looks behind today’s headlines to discover the truth behind several so-called conspiracy theories. America’s secret pact with the Grays and the Draconians to permit human abductions in return for technology is in danger now that both alien races fear the return of a far more ancient race. 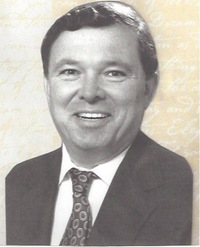 Rather than having one career, Schatt has had several. He has worked as an autopsy assistant, an English professor, a software trainer, a law enforcement administrator, a market research executive, and a sales manager. He spent the last two decades as a technology analyst or ‘futurist” trying to figure out what future technologies will be successful. There are many different alien species and some aliens have an agreement with the US government to exchange technology, which has advanced our world, with the chance to experiment on some humans. But now there is an older and more feared race of aliens about to invade Earth that the Grays and Draconians fear. Heather Swift is an astrobiologist with some special DNA. She is called in to help with the coming alien invasion. She has a bad feeling about the whole think and tells her brother, Ben Swift. Then she disappears. Ben wants to find out what is happening so he rounds up his SEAL buddies and they go on the hunt for Heather and the truth. This is an action packed story as Ben goes on the hunt for Heather and explores the alien rumors of places like Area 51, a secret base on Mars, and so much more. I loved all the action and fighting, the scenes were well written. But I also liked the parts about the aliens. We have so many stories of aliens that I loved how they came together. This is a good story and I enjoyed reading it. I liked the twists and turns, they kept me guessing about the direction of the story. If you like scifi and aliens I recommend checking it out. I would like to thank the author for the opportunity to read and share this book. The stars belong to the Space Service. The Space Service launched the first fusion rockets, put cities on the moon, set giant space stations in their orbit, colonized Mars, and is constructing deep-space exploration vessels in its shipyards above the red planet. The future is full of opportunities for those who meet the Space Service’s criteria for living in space. But there are no bright futures for those deemed unfit for space: the unintelligent, the diseased, the mentally ill, the emotionally unstable, the sociopaths, and the criminals are condemned to life on dirt, a place everyone knows but no one mentions. Every family has members who are condemned to life on dirt, and sixteen-year-old Mara Duval’s is no different. Mara, born and raised on Tombaugh Space Station, is training to be part of humanity’s first mission to the moons of Jupiter. But her parents are determined for her to understand her family’s past before she embarks on her future in deep space. She must meet those she is leaving behind, her relatives who have failed. She must go down to dirt. For decades Kevin Killiany was an actor, drill rig operator, warehouse grunt, photographer, and paperboy, but in the 1980s found himself drawn into teaching and working with young people. He taught high school, elementary school, and community college before moving into community mental health where he worked crisis intervention, community support, and family preservation services. 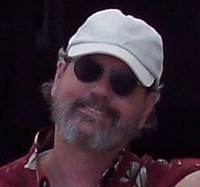 Kevin sold his first short story in 2000 and since then has written for Star Trek, Doctor Who, and several role-playing games. In 2011 he became a full time writer and editor, but gradually came to realize that sitting alone in a room arguing with a computer screen ten hours a day was neither as exciting nor as glamorous as he’d imagined. 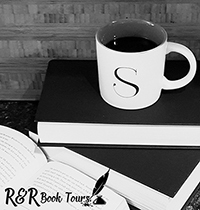 In 2015 he returned to the college classroom part time as an adjunct English instructor and has found his dream career is a healthy balance of both writing and teaching people who want to write. Kevin lives with his wife Valerie in Wilmington, on the coast of North Carolina. They have four children, one recently acquired, and a grandsquiggle named Zoë. The Space Service runs everything relating to outer space, from shuttles to colonizing Mars and such. Those that live on the Tombaugh Space Station are the elite. They are strong, have no illnesses mentally or physically, and are essentially perfect. Those that are born with any problems are deemed unfit for space and sent to live on Earth (Dirt). Mara was born on Tombaugh and looks down her nose at those on Dirt. Until her parents decide to send her down to Dirt for her break. Mara is throwing a fit and NOT happy about this development. She stays at her uncle, aunt, and cousin’s place. But life on Dirt is completely different from life on Tombaugh. This story rotates narration between Mara, her cousin Beth, and Beth’s friend Jael. Each had their own way of looking at this world and conveys their opinions beautifully. I admit that I was not too impressed by Mara when we first meet her throwing a fit about vaccinations and how being sent to Dirt was going to ruin everything for her and how it was child abuse. 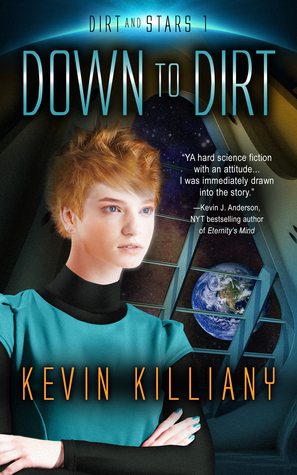 But I love how all three come together to fight prejudice, typical teenage issues, and better Dirt. This is a great story for teens and adults alike. It is well written and was so easy to get into. I think that most people that read it will enjoy it and suggest everyone checking it out. I would like to thank Ari at Candid Book Reviews for the opportunity to read and share this book.